The episode opens. One of the main characters takes center stage. Camera following this perspective character, their day progresses. You see some of the other main characters in secondary storylines. Strange, unexplained interactions occur with those other main characters, but the perspective remains on the one character. Whatever plotline occurs this day for the perspective character finds its resolution early on in the episode. You question, “How can that be it? It barely even started” And then, a little notification pops up saying, “Earlier that same day.” The camera lingers on one of the other main characters, whom you’ve seen in a secondary storyline during the first part of the episode. The day progresses for this character now. Some of the previously unexplained plotlines come to be revealed. Those moments in the first part of the episode interacting with this second character now make more sense because the context has been explained. And the same holds true when the camera follows a third, and even sometimes fourth, perspective character through the same day. Each revealing new aspects of understanding the overarching story. That which seemed strange and unexplainable becomes clearer because we now understand the context. 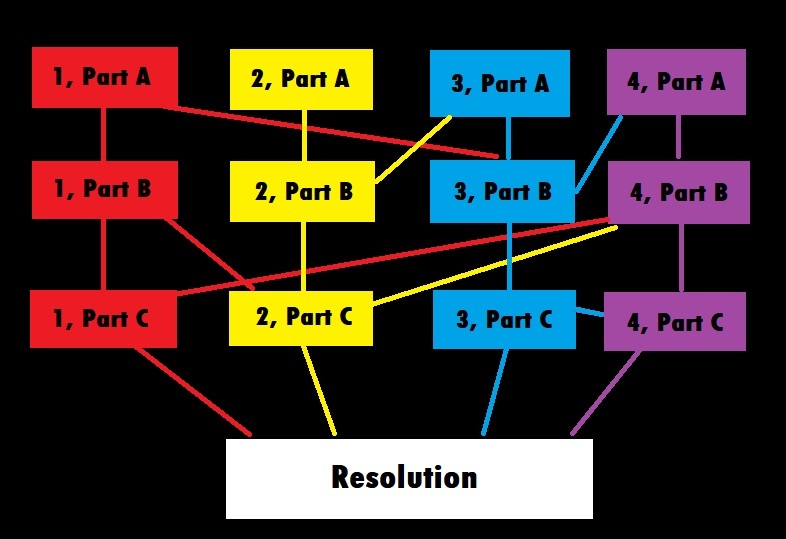 This is one of those storytelling methods where understanding the context of specific characters’ stories is important in order to see the full picture. Each individual piece is true. And each can be a story in and of themselves. But, there are unclear moments unless you’re willing to search out the full story. In trying to figure out which book to preach from, a part of me was thinking about the book of James. I knew it to be largely considered a New Testament book of wisdom. Often people think it to be akin to the book of Proverbs, where some elements repeat, but a lot of the discussion can seem disjointed. Moments without clarity while looking at the book through only a specific perspective. So, what I needed was context to understand the strange and unexplainable parts. I needed to not only follow the perspective of the words themselves, but also the perspective of historical events surrounding the time of the writing. I learned that during the decade of the 50’s AD (the likely time period in which James wrote since he died in 62 AD), increasing violence and aggression against the Roman government by those within Israel’s borders caused the Romans to react. In part, they took the land owned by smaller, peasant farmers and gifted it to wealthier landowners who were a bit more agreeable with Rome’s rule. This caused these now-landless farmers to become even poorer day laborers. The lines between the rich and the poor became more defined. A dichotomy highly visible in the words written within the book. And it wasn’t just true for farmers, but also for priests. The lower level priests suffered at the hand of the upper echelon including the High Priest, who’s position was meant to follow a family line, but became a political position granted by the Roman government. If you had enough money and clout, you could rise to prominence as high priest…and you had to get that money somehow. This was the climate in which James wrote words about rejoicing in trials of various kinds. He called for people to act in faith, but without partiality. He warned about the destructive nature of an uncontrolled tongue. He called for patience as we await the justice about which we pray to God. Ultimately, James was martyred in 62 AD by the hand of the then High Priest, Ananus II. (Insert your own joke about that name here.) The Roman procurator, Festus, had just died. And Ananus saw his moment to strike out at this high profile leader of the church. Executing James, the high priest thought that his trouble with peaceful protestors for social justice was over. However, things didn’t work out the way that he thought they should. Outcry rose up on account of the death of James, especially among the overlooked members of Jerusalem’s population, both those who were followers of Jesus and those who were not. While James was a leader of the followers of Jesus, they were not his only concern. His voice rose up to speak out for all the downtrodden, all whom society tended to push down. This is why they all lifted their voices for justice in his death. And with this outcry, the next procurator had to do something to Ananus. The voices of the poor and outcast coalesced to action on the part of the government, causing them to oust the high priest. Sure, it wasn’t complete justice for the execution of a man of peace, but that same man wrote, in chapter 5 of his epistle, that followers of Jesus should be patient to receive full justice when Jesus returns. I never knew that James was such an advocate for social justice. His call for wisdom over war tempers the stance toward the godly, but his concern for the well-being of the common people is obvious once shown this context. I guess I shouldn’t be surprised that the human half-brother of Jesus would care like his Savior. 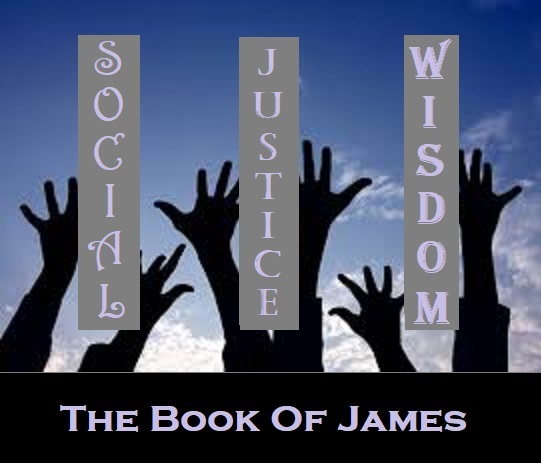 The upcoming sermon series will be called Social Justice Wisdom, but that discussion is meant for the sermons. My point for this blog is how amazing it is when confusion becomes clarity. The bible often sounds confusing. Parts don’t seem to make sense, or they don’t seem to apply to our modern life. But if we get that camera shift to the second, third, or even fourth perspective, those crazy moments will come clear as context is explained.